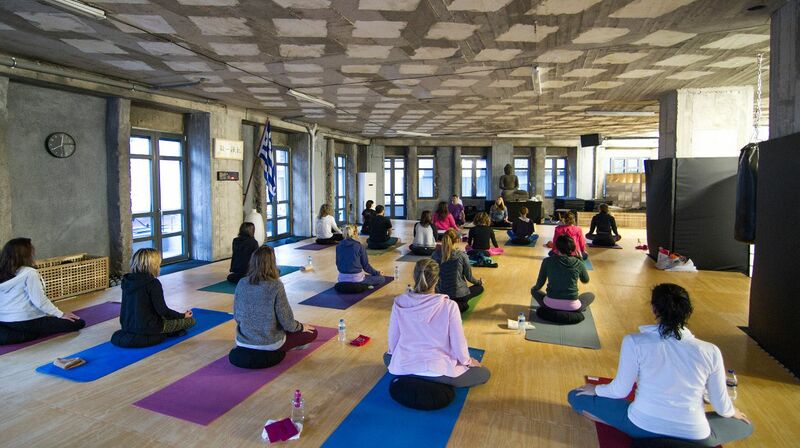 Maya Yoga 300 hours of Advanced Studies is a journey of teacher’s development on all levels. You will unlock your true potential and become a confident and highly competent yoga teacher, with enhanced leadership and facilitation skills, who at the same continuously grows on a personal level, develops her intuition and deepens her sensitivity. The methods and techniques that you will learn will enhance your existing teaching qualities, equip you with new tools, and result in a sharply precise, but also deeply inspiring and spiritually elevating teaching method. You will train to express clearly and with very explicit instructions the firm knowledge that you will acquire about the asanas and their modifications, and about the optimum alignment strategies, applied to different people, with different physical needs. At the same time you will learn to infuse your lessons with inspiring and elevating spiritual themes from the yogic philosophy that you will study, so that in every class you assist your students on a true path of inner transformation. 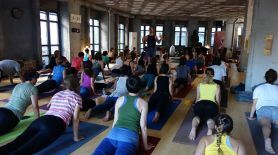 - The 120 hours of Modules by the visiting, globally known teachers – Carlos Pomeda (Meditation), Jivana Heyman (Accessible Yoga), Elise Miller (Yoga for Scoliosis) and others. 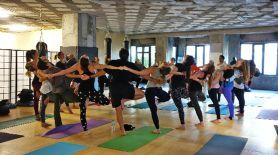 - Expanding: broadening the possible range of student populations that they can serve, to include highly advanced yoga practitioners, students with scoliosis, as well as students with special needs. See the detailed analysis of the content of each module at the bottom of this file. I believe that teaching yoga is a very demanding, but at the same time a highly rewarding profession. Learning to teach well requires a lot of effort, commitment to learning, humility, being open to change, flexibility of view, and all those qualities that we teach our students to develop as well. An advanced program conducted in a supportive learning environment helps a teacher evolve in all these directions, bringing to surface the best in them. My number one priority is to create an atmosphere where every individual feels safe and supported, in order to reach his or her fullest potential. After all, our mission is to serve. Serving fellow humans and facilitating their journey of transformation and mind-body-spirit integration, be they our students, friends or colleagues, is what teaching yoga is all about. Ideally you will take these 2 years as a project of advancing your teaching skills. To that end, we have one-on-one mentorship hours: Every 6 months you will need to video-record your class. We will observe your class, give feedback, and you will receive guidance for the next class, which we will, again observe and give feedback and so on, for as long as I deem needed. I may ask you to record a video of a class where you teach beginners, or advanced students, or a restorative class, in order to give you feedback on theming, timing, sequencing, segmenting, using your voice etc when teaching different types of classes. Another very important part is what you do between the modules – homework, journaling, reading, practicing what you learned, noting down your own ideas, the difficulties you are facing and so on. Keeping contact with each other, sharing ideas and difficulties, will be very helpful to everyone involved. We will have a Facebook group where all the sharing of knowledge, questions and difficulties can take the form of peer-discussions so that we use the opportunity to learn from one another, as well as give each other support and encouragement along the way. If you find that in some periods of time your personal schedule is very dense, and that you do not have the time for all of the above, you can choose a slower pace. At other times when you have more free time, be fully dedicated and move on faster. I would like this, above all, to be an active, but pleasant, fun and rewarding time for you, not a stressful one! I also consider it of outmost importance that we, as yoga teachers, commit to a daily practice of meditation, and that we teach meditation in yoga classes whenever possible. 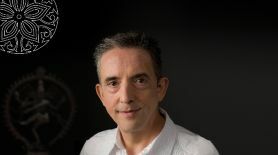 To that effect, Carlos Pomeda will teach twice in the program, to help us go deeper and adopt a regular meditation practice. I strongly advise you to attend both of his sessions. They will be at a time distance of 1 year, so that we can understand our challenges, track our progress and make as many questions as possible regarding our meditation practice, and regarding teaching meditation when he comes for the second time. All the 5 modules that I will teach have to be attended. If you miss one, we can discuss a possibility of attending something else instead, or you can wait for this module to be repeated (in 2 years). 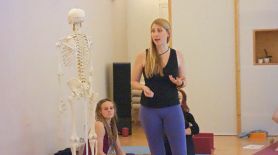 As for the Modules with foreign teachers, they do not have to be attended in a particular order (except Accessible yoga: You can only attend part 2 if you have attended part 1 of Accessible Yoga training). Additionally, if your financial situation does not allow you to attend all these modules within 2 years, you can, of course, delay the process. The same modules will most probably be repeated, AND, there will always be new modules added – Partner Yoga, Pre/Post natal Yoga, etc, always with the top teachers from abroad. All the foreign-teachers modules will be conducted in English language. If you have a hard time to follow this material in English, let us know at least one month before the event, and we will try to arrange for a translation. 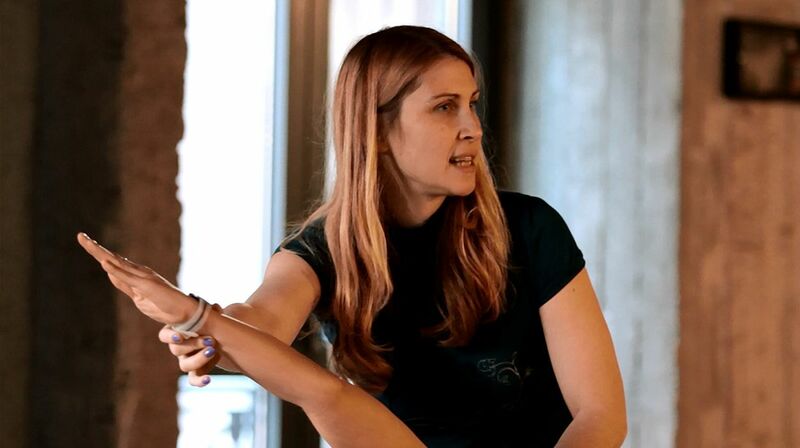 In conclusion, I am very confident that we will create a highly creative, and a highly supportive team, and that in each module we will have a good time, while at the same time growing as teachers, as practitioners, and as human beings. We hope to be together not only for this unforgettable journey, but also for a lifetime of friendship and growing together on the path of yoga! Maja Module 1: Advanced yoga poses require advanced teaching techniques. You will learn safe alignment and smart sequencing strategies that will enable you to guide your students in and out of the intermediate and advanced postures. As a teacher, you will improve your vision and assessment as to how your students need to refine their existing poses and what variation of a pose they are ready for. You will learn a whole set of sequences that make the more advanced poses accessible and fun. You will learn which variations to offer so that each of your students leaves your class with something to be happy about, and something to work on!You will help your students to safely and skillfully evolve to the next level! - How to understand the needs of beginner yoga students. - How to help them gain greater awareness of their breath and body. - How to move from the inner body. - Alignment and therapeutics for beginners. - Pace, timing and segmenting the class for beginners. - Pranayama stages appropriate for the beginner students. - How much yoga philosophy and how to present it. - How to explain the basic mantras, the mudras, the energy-body. - How, and how much to adjust manually. - Two sessions will be with real beginner students so that we can teach, observe and discuss afterwards. - Questions and group discussions. Accessible Yoga Part 1- The Accessible Yoga Teacher Training program focuses on how to make the Yoga teachings available to everyone, regardless of their level of physical ability. We explore the many ways that Yoga practice can be modified to suit students with disabilities, physical challenges, and seniors. This can range from teaching gentle Yoga classes, to teaching entire classes in a chair or in a bed. We discuss group classes as well as one-on-one sessions. In the modern world, as more and more scientific research confirms the multiple and profound benefits of meditation, this wonderful practice is increasingly becoming more mainstream. The reason is simple: whether one seeks relaxation and stress reduction, increasing self-awareness, the wonders of self-discovery or spiritual fulfillment, meditation is a proven and simple way to achieve those. In this multi-session workshop—taught by a former monk with over 30 years of experience—we will not only explore the various building blocks and the many facets of meditation, but we will also have ample opportunity to explore various approaches through guided group sessions, discussions and questions and answers. Whatever your level of expertise, this workshop is designed to take your practice to the next level. There is a treasure trove of meditation in the tradition of Kashmir Shaivism, and one of its greatest sources is the revealed text known as Vijnana-bhairava Tantra. In it, the Goddess plays the role of student and asks Shiva for instruction. The reply, however, does not come in the form of doctrines, but in the form of 112 methods of meditation. The message is clear: the ultimate answer to the deepest questions of life lies within. In this weekend course, we will immerse ourselves in the nectarean ocean of meditative practices selected from this sublime text. As we progress through the various forms of meditation, the inner state becomes deeper and deeper, supported by our contemplation, analysis and discussions. Learn about the benefits of restorative poses. Learn various teaching tips - how to lead a restorative class, what to be prepared for, how to use the props, how to save time and other. Practice helping a student assume a restorative pose. . Learn particular sequences for deep breathing and as a meditation preparation, sequences that address stress, menstrual discomfort, insomnia, headache and other. 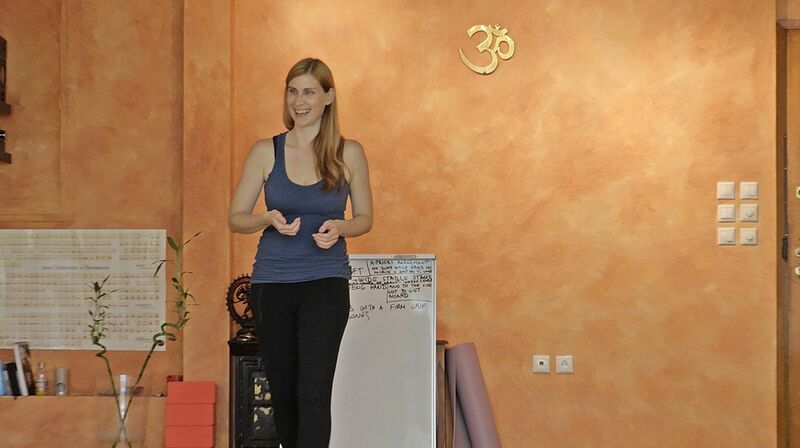 Maja Module 4: The focus of this module is on bringing yoga philosophy into your classes. In the morning we have a strong 2hr practice inspired by the teachings from the Upanishads, Yoga Sutras and the Tantras (Godesses). Then we will lay out some of the most significant empirical-philosophical teachings of the aforementioned texts. Then we analyse how to extract a myriad of possible themes that arise from these main messages. You will learn the whole process of good theming which involves contemplating a particular teaching until it is clear and comprehensible to you, embodying it, letting it express itself through you in YOUR OWN, unique way, organising it around the sections of your class, and finally, presenting it to students both at the start of the class and as a thread throughout. All this in a clear, articulate, effective, and timely manner. You will practice finding your unique voice and enabling it to come to a full beautiful expression. The aim is to keep your classes rich and inspiring, but also down-to-earth and to-the point. Accessible Yoga Part 2 The Accessible Yoga Teacher Training program focuses on how to make the Yoga teachings available to everyone, regardless of their level of physical ability. We explore the many ways that Yoga practice can be modified to suit students with disabilities, physical challenges, and seniors. This can range from teaching gentle Yoga classes, to teaching entire classes in a chair or in a bed. We discuss group classes as well as one-on-one sessions. Maja Module 5: This Module is designed to bring everything together, the theming skills, the sequencing, the adjusting. 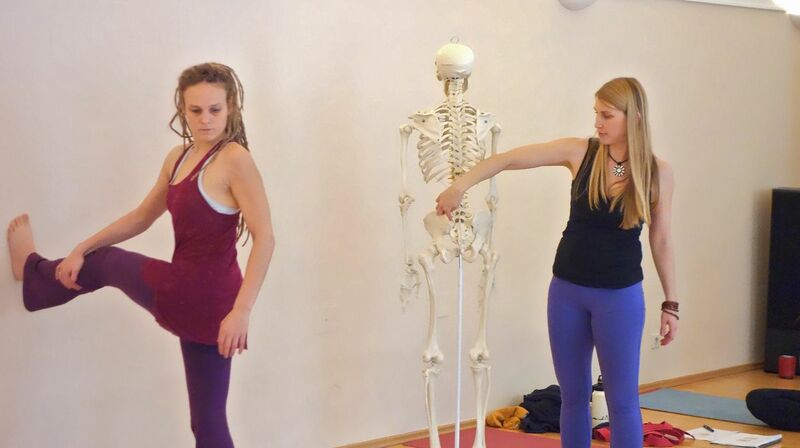 We will do a strong daily practice with hand-on assists with advanced asanas, discuss how successfully has the material from previous models been applied, what were the difficulties, what was easy, what questions arose in those months of teaching in your regular classes. The emphasis will be on whatever segment the groups has the most need to work with. What is the fastest means to the experience of the highest? In this exploration of the sublime system of Vedanta, we will cover topics such as the qualities that lead to success for a yoga student, the nature of human life, the subtleties of perception, and the practice of deep meditation, among others. Based on a classical tantric text from the Kashmiri tradition (the Pratyabhijna-hrdayam, or “Heart of Recognition”), this seminar will teach us how to recognize the most extraordinary supreme consciousness in the midst of the most ordinary processes. Starting with an expansive understanding of the unfolding of consciousness in the universe and offering the key to the understanding and experience of supreme reality, the seminar will culminate with several powerful techniques for the expansion of consciousness. Ultimately, this tradition teaches that the unfolding of the inner energy brings about the attainment of supreme bliss right within your own heart.